Don’t let hackers and their efforts run your business – let your business run proactively on the bleeding edge of technology without allowing the hackers the chance to disrupt it. Cyber-security is not supposed to be about “checking boxes” on a framework, or meeting compliance standards. It is not supposed to be about “reactive block-and-tackle” of various threats. It’s not supposed to be about “plugging holes”, or worrying about privacy data. All of these facets should be built into the overall technology strategy – but these facets are not the strategy – nor are they the goal. Any proper technology strategy will produce and control these facets as a natural effect. An excellent IT and Security architecture should enable your business to do bleeding edge tech where you need it, protect your operations “as they are”, and allow you to expand and grow your business at will . Your technology should drive capabilities, competitiveness, and opportunities for growth and revenue. Lewis Security Consulting uses our unique Framework to analyze, design, implement and maintain your bleeding edge in technology and security– all while making sure that your business is running tech for the business’ sake and growth – not for the purpose of running security solutions for “what might happen." Blind trust in identity is no longer a viable option for today’s world—but that doesn’t mean we can just jettison identity as a core asset—we need to apply the “appropriate level of trust” to identity, and then apply that level of trust to how we access digital assets. At LSC, we only employ known quantities. Each of our employees is a heavy hitter in their field. With that said, the leadership team has known each other throughout their long and storied careers. The team brings to bear the depth and breadth of a combined experience of over 100 years in Information Technology and CyberSecurity expertise. Elliot is a thought leader with practical experience in CyberSecurity and all aspects of IT, providing strategic and tactical guidance to our clients across all of our disciplines. He holds multiple technology patents. Elliot is also an in-demand keynote speaker and participates as an expert on industry panels. 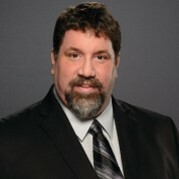 Elliot brings over 25 years in executive management, as a leading CyberSecurity research analyst; Chief Security Architect in the office of the CTO at Dell; Director of Strategic Services, Security, and Identity at Cisco Systems; Chief Information Security Officer of Merrill Lynch; and Senior Security Architect, Security Center of Excellence for Microsoft.